Riding plenty of winners is the best advertisement for a young jockey leading into the spring. Jordan Childs has been doing just that with long-term hopes it may lead to a ride in the Melbourne Cup. With a number of senior riders either taking the day off or riding interstate on Saturday, Childs gets another chance to showcase his wares on the Lloyd and Nick Williams-owned Our Venice Beach in the R M Ansett Classic at Mornington. 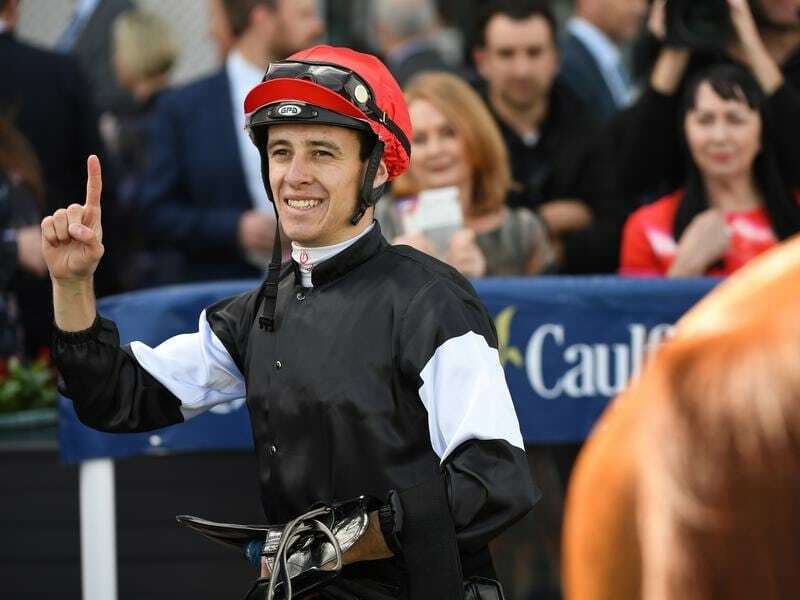 Childs rode the import when he finished seventh in last week’s MRC Foundation Cup at Caulfield, his first ride for the stable in a number of years. “I’ve probably had a handful for them but I hadn’t had a ride from them for a long time,” Childs said. “Ben Melham was suspended and I think it was fortunate I was in their minds at the time as I’d been riding a few winners. The outside barrier is a concern for Childs but he was pleased with the way Our Venice Beach ran at Caulfield last week. He said the rise in distance to 2400m was what the five-year-old was looking for. Childs is hoping the Williams team will have a number of Melbourne Cup runners and he can remain in their minds. “Everyone wants to ride in the Melbourne Cup so hopefully I’ll be able to pick something up,” Childs said. “I’m very happy with how the season has started and I’m riding plenty of winners coming into the spring. The Ansett Classic would appear a four-horse race if the market is correct. Japanese-bred import Hush Writer has been joined at the top of betting by Our Venice Beach at $4.40 with Harrison and Haripour on the next line at $5. High Church ($12) is next in market order.